There seems to be no argument over whether the Central Intelligence Agency used brutal and harsh means in pursuit of its goal of extracting information from imprisoned and detained terrorism suspects for years after the Sept. 11, 2001, attacks on the U.S.
Waterboarding, wall-slamming, sleep deprivation and other assaults on human dignity are euphemistically bundled under the banner of “enhanced interrogation techniques.” There is no doubt in my mind that the CIA used torture, although the agency’s defenders shy away from use of that word. Regardless of the choice of vocabulary, the question of whether the end justified the means cannot be ignored. The absence of the word “sin” in all of the commentary that has followed the release on Dec. 9 of the Senate Intelligence Committee’s sweeping indictment of the CIA’s behavior might be dismissed as quaint, but is surely curious and worthy of comment. Where did the waterboarders, wall-slammers and assailants of human dignity get their moral formation? Just a few years earlier, they occupied space in our classrooms, places in our pews, seats at our dinner tables and positions on our school athletic teams. Was morality ever discussed? Were rules ever explained? What explanation can be given for the evolution of a brute in America today? The late Japanese novelist Shusako Endo offers in a novel titled “Silence” a directional signal for anyone in search of an explanation. Endo was Japan’s foremost novelist in the 20th century. “Silence” is considered to be his masterpiece. The novel tells the story of a 17th-century Portuguese Jesuit missionary priest in Japan at the height of the fearful persecution of the small Christian community. The protagonist is arrested and taken prisoner and pushed into a little hut. And there you have it, the obliviousness, the hardness of heart, the brutality that marks the abandonment of humanity and the presence of sin. Call it an “enhanced interrogation technique” if you will, but there is no getting around the fact that the sin of torture is on the American conscience now and the least we can do is name it and admit it, and give more than a passing thought to repentance. 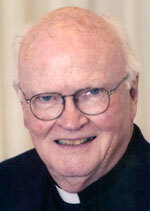 Respectfully I would like to offer a differing opinion from the one proposed by Father William J. Byron, SJ. The Catholic Church has always allowed just wars under the moral principal of fighting evil, defending the Faith, and for self defense. The same moral concept can be applied to torture especially when it is carried out under the presumption of war. Even more so when the form of torture is not life threatening or physically or mentally debilitating. In the current situation regarding imposing sleep deprivation and water boarding techniques to a small handful of high ranking radical Islamists in order to gain critical information that will save lives or help win the war on terror, I would hold that we are completely justified morally while at the same time emotionally disgusted. As a corollary it should also be noted that in WW2 the Allies carpet bombed Germany and killed well over 100,000 innocent civilians and in Japan America dropped the atom bomb twice with similar results. These actions were morally justified as necessary to end the war and avoid a much greater threat and to save millions of others from certain death and destruction. Wouldn’t the same logic apply today to sleep deprivation and waterboarding which does not kill and does not cause physical harm and is meant to extract information that will save innocent lives? Finally is sleep deprivation or water boarding even torture when there is no lasting physical or mental consequences, just extreme unpleasantness that causes no harm? When these same techniques are part of the standard training for our US special forces personnel? I would submit that the answer is no.